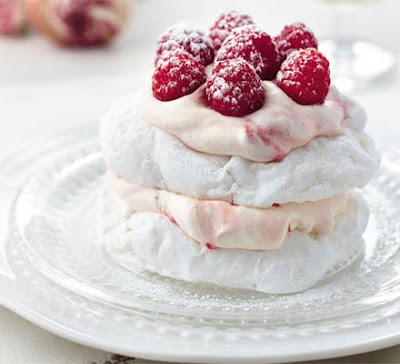 Even though Christmas is rapidly approaching, the sweet tooth (and Brit) in me is currently craving this sweet summer dessert that originates from the kitchens of one of England's most prestigious prep-schools. 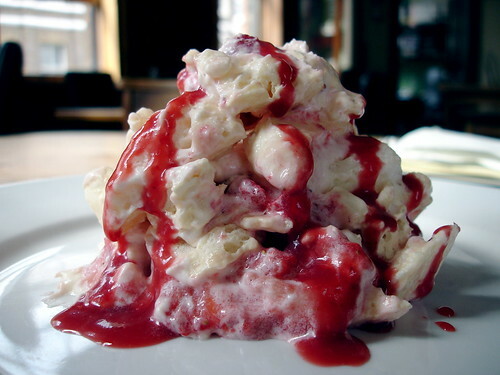 Eton Mess, is exactly that - a mess of whipped cream, strawberries and broken pieces of meringue - and is traditionally enjoyed at Ascot or Wimbledon of course. Keep in mind this oh-so-pretty photo is a rather posed version of a delicious dish that usually looks more like this, especially when I eat it. Joy of Baking has a rather lengthy entry on how to make this mouth-watering melange of sweets, but I'm sure you can figure it out for yourself - they messier the better. totally, totally drooling right now. yummm. let's attempt to make it this holiday season...?? me too - i just woke up and want this for breakfast!